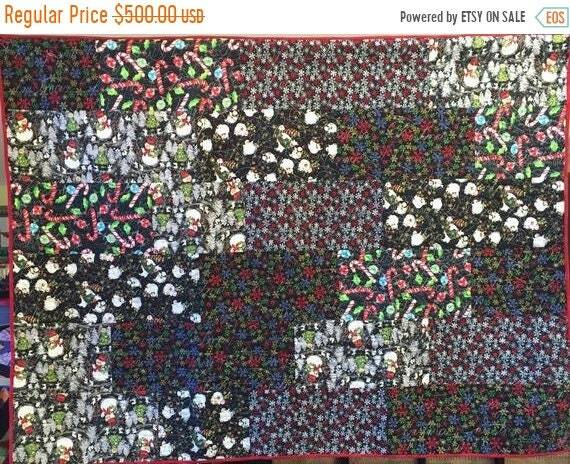 "Atlanta Snow Day" is a fun holiday quilt depicting snowmen on a black background. 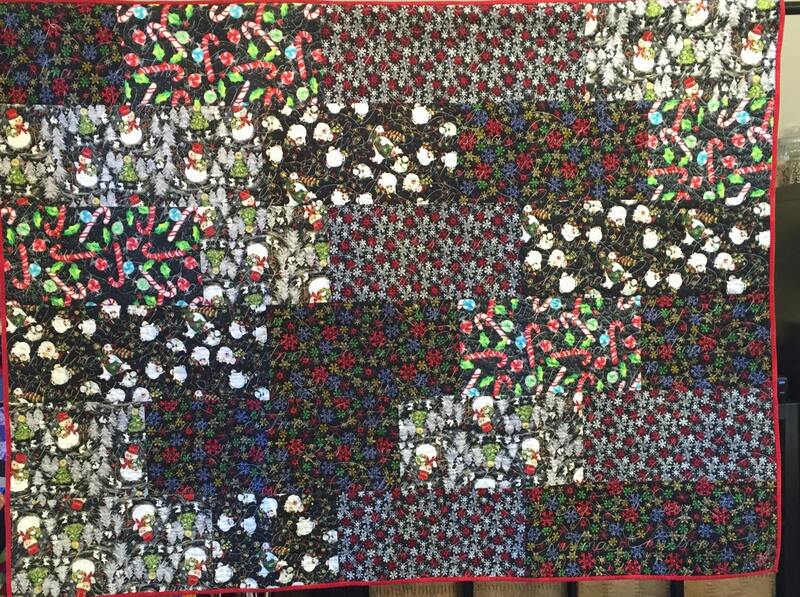 It measures 54x72 inches so it can be used as a lap quilt or hung on the wall. 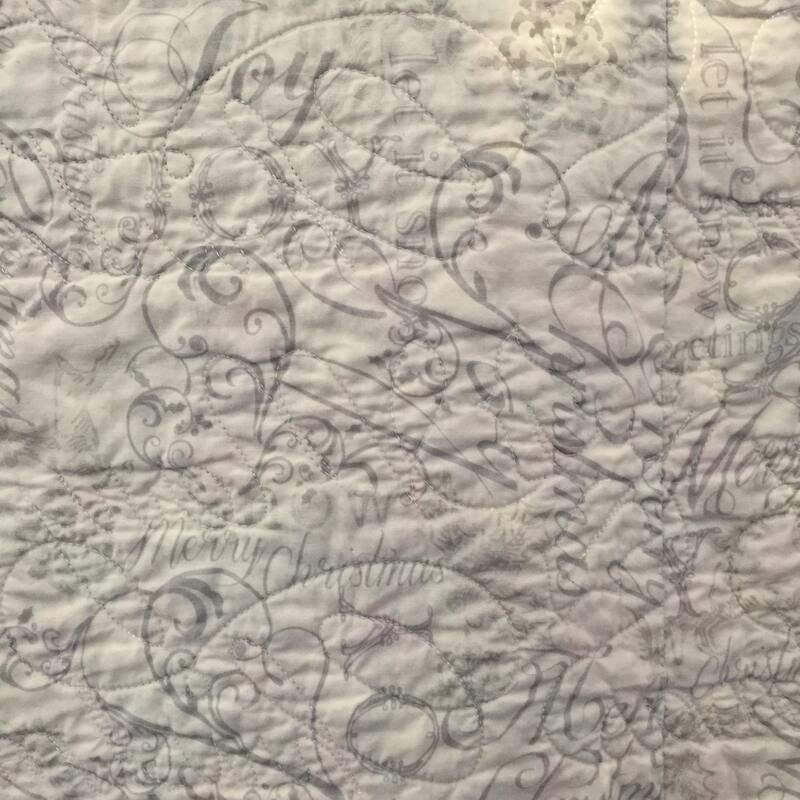 The machine quilting spells out "Merry Christmas" across the quilt. 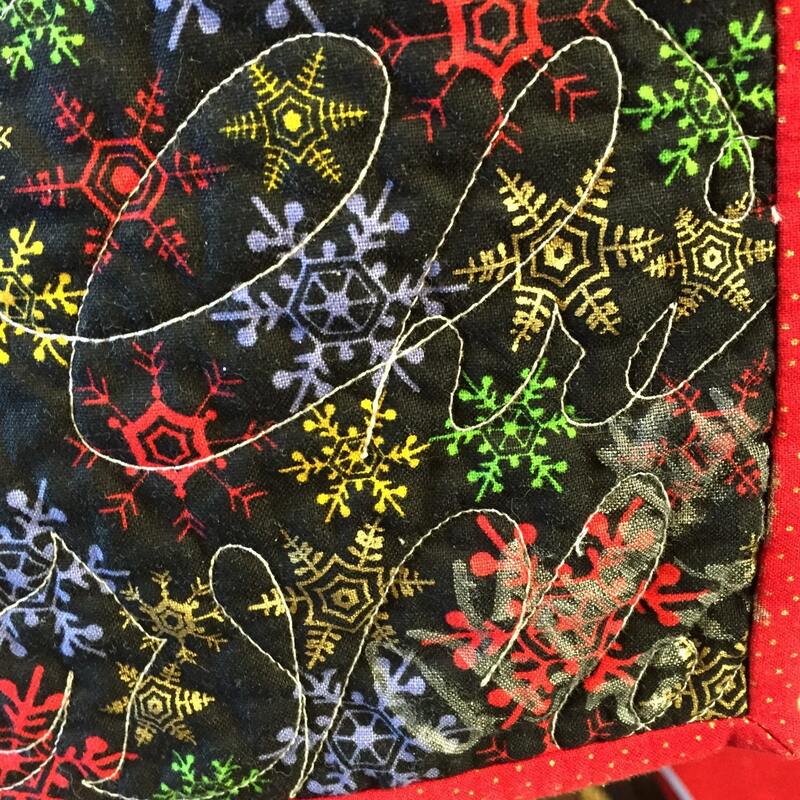 Many of the fabrics sparkle. 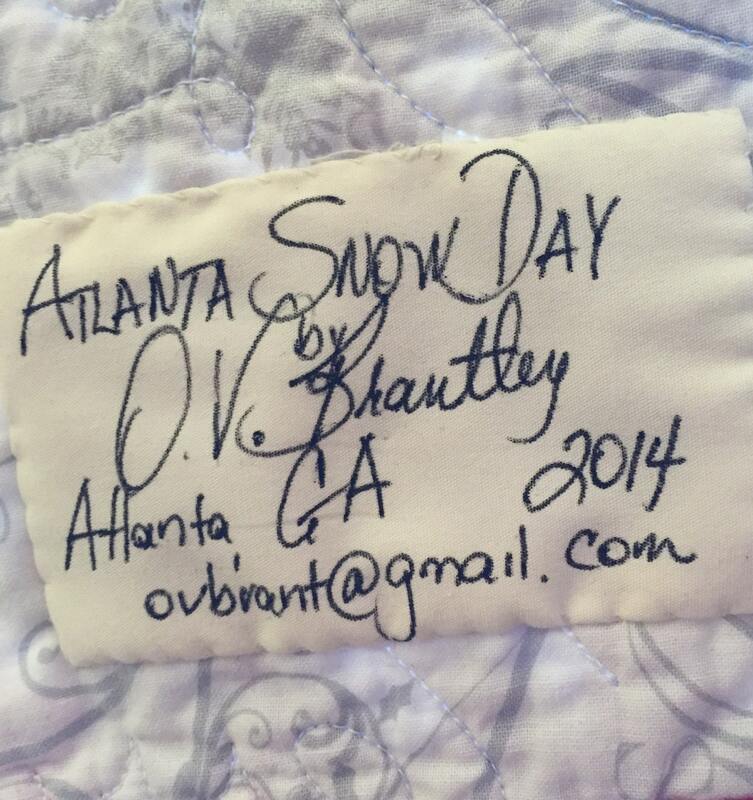 The fabric on the back is white with words such as "joy", "Merry Christmas", "seasons greetings", etc.